Good news though: our company has just spent the month of January 2014 going through several major changes, and I wanted to share the details with you. I hope that what we do at YMB Properties can inspire you in the way you organize your business. The purpose of this blog post is to give you a sneak-peek into what works for us, right now. So without further ado here is what’s new. 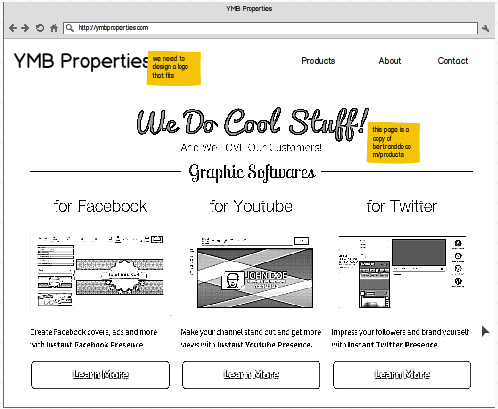 The new YMB Properties website has a clearer focus on our graphic products, and even (soon) an option to buy a bundle of all our products. The idea behind this redesign is to put the company at the forefront of our marketing, instead of me (Bertrand) taking all the glory from our collective works. In fact I have always been wary of running a company that only depends on me. That’s the kind of issues a lot of self-employed businesses are faced with: they build a personality cult around their founder to the extent where the founder becomes the company. The problem with this approach is that it’s very hard to build a durable company that relies totally on you. I am a big believer in systems (check out the Emyth by Michael Gerber) and for our systems and processes to be efficient I had to slowly remove myself from the equation. One of the most time consuming activities we have been working on last month was redesigning all our sales pages. 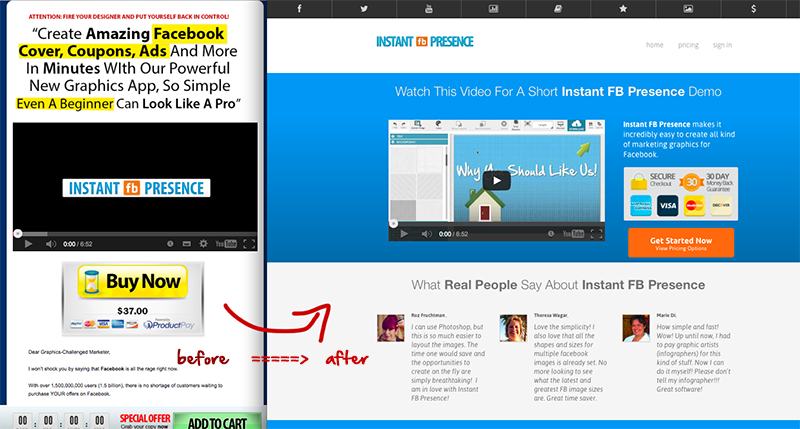 You can see the results by going to Instant FB Presence for example and clicking on the top menu links to navigate through our graphic products. In fact if you have been using HTML sales pages before, there are notably difficult to edit. By moving all our sales page to OptimizePress V2 (OP2) we have cut entirely our HTML development costs, since our in-house designer has been trained in using OP2. All in all this redesign probably took us 3 good weeks, but was worth it. Starting anew is a great way to start the year. Talking about starting anew, one of the major projects we worked on in January was to get rid of all the clutter: we deleted dozens of old domains (some were still active), closed lots of threads on the WarriorForum, discontinued some old products, etc. You might call it some kind of major “spring cleaning”. I personally severed several partnerships etc. We really decided we should focus on graphic softwares for 2014, and graphic softwares will be all we do. All the rest was distraction and has been promptly eliminated. Customer support is a big deal for us: in any given month we get over 1,000 support request (everything from people asking generic advice to technical assistance) and have 8 agents on the desk. Consequently we have always been looking for the best platform to help our customers. We then moved to Uservoice which did a decent job at the beginning. As the organization grew I felt that Uservoice was lacking in some of the social media integration feature and mobile applications for agents. So in January 2014 we moved all our support to Zendesk which is arguably the best support platform I have ever used. One of the advantage of Zendesk is the way it offers multiple channels for customers to get in touch. Here are 7 ways to contact the YMB Properties support via our Zendesk account. 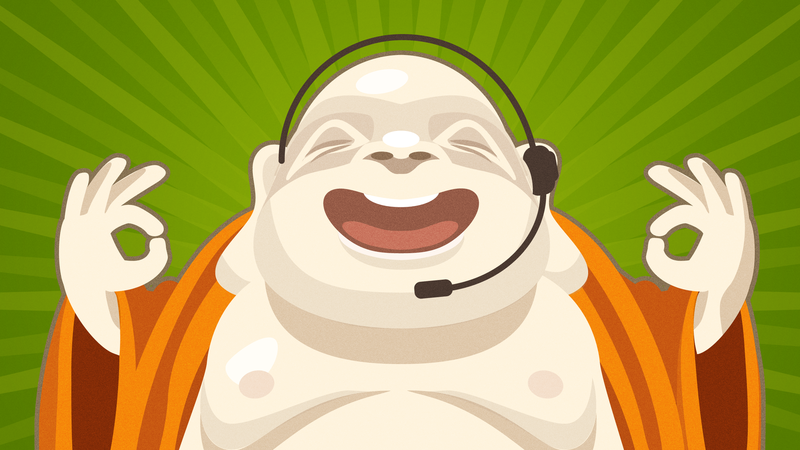 All in all we are very happy with Zendesk, and our customers seem to be too. Sometimes I do feel a bit guilty not sharing back enough of what I am learning through my journey in business. In fact the only reason I got where I am today in a position where I can live anywhere and run a company with 13 employees (at the last count) is thanks to other people who inspired me via books, seminars, blog posts and the likes. 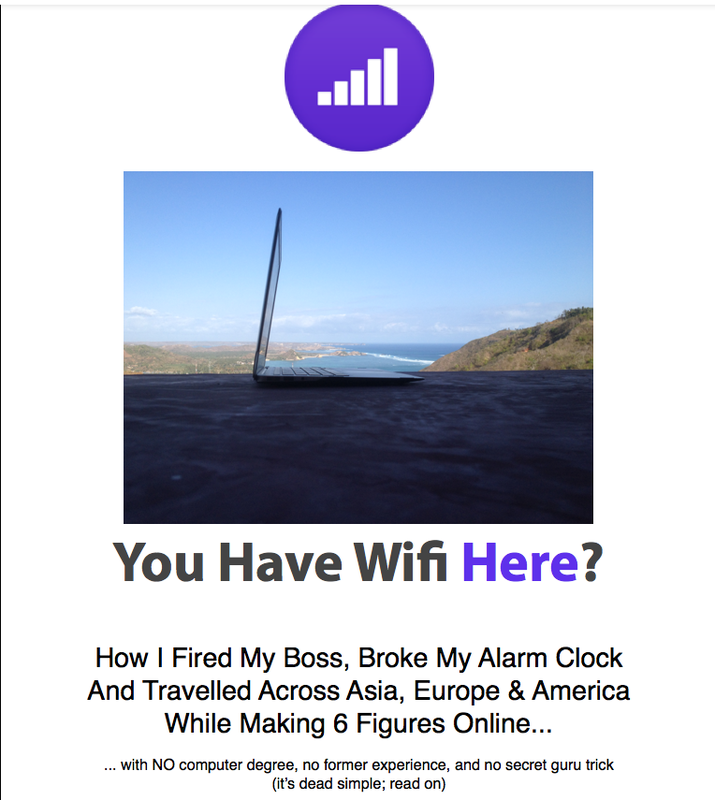 So I made it a mission to release a free eBook that details the exact strategies and tools I used to get where I am at. I am a big believer in lifestyle design so this book will have lots of practical tips on how you can design a business that actually supports your life (rather than taking away from it). That’s a rough outline of the book, let me know what you think about it in the comments. The plan is to have it released in the next 12 weeks (I might try to release one chapter a week on the blog to keep it consistent). We had a fantastic month of January and I am incredibly excited about what’s coming next. We are of course planning to keep on updating and bettering our softwares, we are planning to push at least one major update per month. For February we will complete the redesign of our platforms by tackling the members area (the sites where you access our softwares). The plan is to make those members area a lot more modern looking, and easier to navigate. We also plan to add mobile support, so that you can preview your designs from any mobile. Secondly we will start posting more marketing resources for our customers, starting this week with an excellent article about Infographics by our own content writer, Rose Ann. Stay tuned for her email sometimes between Tuesday and Wednesday. Finally we have already started development on a MAJOR project which is set to change the way people create graphics online (at least that’s what I like to believe : ) .. But seriously this is BIG: if you are interested in taking part in the beta email us at support@ymbproperties.com and we’ll be happy to send you a beta invite in a couple weeks. It’s is sometimes good (if not necessary) to get rid of all your old projects and partnerships which might prevent you focusing on what you have to do. In our case it meant getting rid of a lot of clutter but in the end we achieved a renewed focus which should take us farther in 2014. It’s never too late to reinvent yourself and take your business to new heights. This is a fresh update on a tip I gave a while ago on how to create a very cool 3d cover in minutes (literally). If you are like me and you like saving time you’ll love this!